Comment: We bought a new home and the carpet in the living room is embarrassing. It has several big dark stains. We are considering having the den at the same time. Comment: 3 rooms and hallway. Comment: Ottoman is approximately 34â€ x 42â€ tufted fabric. Something unknown was spilled on it - stain is old. Two high back chairs have heavy usage but no known stains. Comment: Ottoman is approximately 34â x 42â tufted fabric. Something unknown was spilled on it - stain is old. Two high back chairs have heavy usage but no known stains. Comment: I have an 8x12 area rug that needs cleaning. Comment: I have 3 spots- permanent marker- on my couch that I need removed. Jefferson Carpet Cleaning Services are rated 4.79 out of 5 based on 367 reviews of 11 pros. 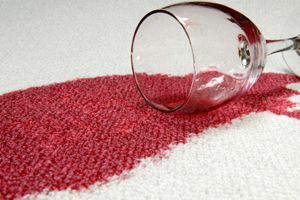 Not Looking for Carpet & Upholstery Cleaning Contractors in Jefferson, GA?